Posted on July 29, 2013, in Prayer and Ritual, Tibetan Culture & History and tagged Asian studies, mantra, prayer, prayer wheel, spirituality, tibet, yungdrung bon. Bookmark the permalink. 4 Comments. Where is Khyungpo? Beautiful photo, the wheels look new?????? 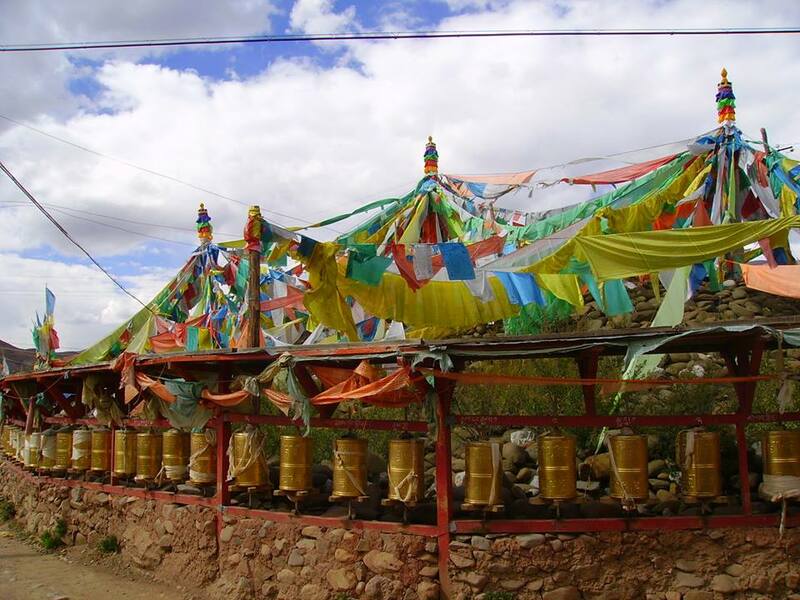 Kyungpo is an ethnically Bon region of Kham, Eastern Tibet. There is a relatively new Yungdrung Bon monastery there. Yungdrung Bon prayer wheels are to be turned counter clockwise. Buddhist prayer wheels are to be turned clockwise. Each of the prayers and mantras inside are placed accordingly.